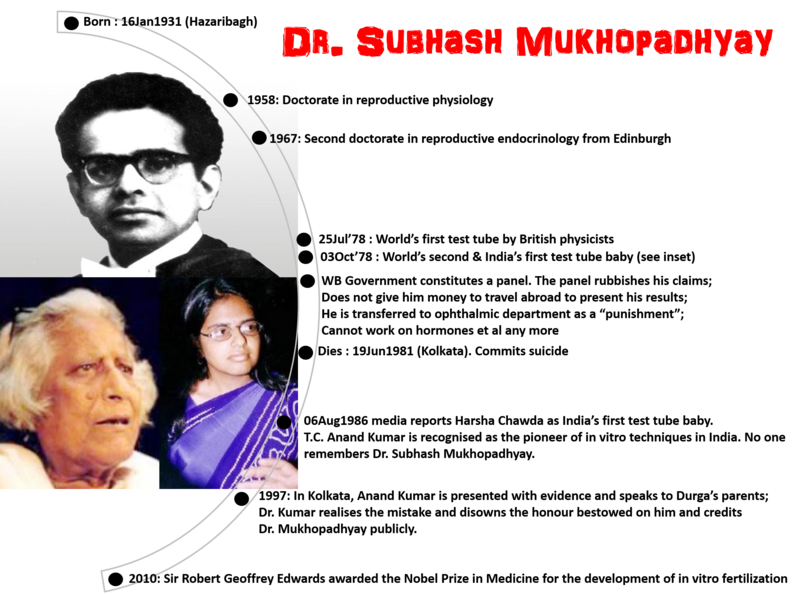 Dr. Subhash Mukhopadhyay’s 86th birth anniversary is tomorrow. A simple but a great man. Remember the movie, “Ek Doctor Ki Maut”? It’s a sad story: it’s a story of a brilliant mind, Dr. Subhas Mukhopadhyay. It is also a story of bigotry, biases and bureaucracy. I made a small info-graphic to tell his poignant story to elucidate my point: that exemplary talent and brilliant achievements are not enough to get you the ultimate peer recognition prize in your domain. Storytelling, connectedness and the company you keep and cultivate is also critical. 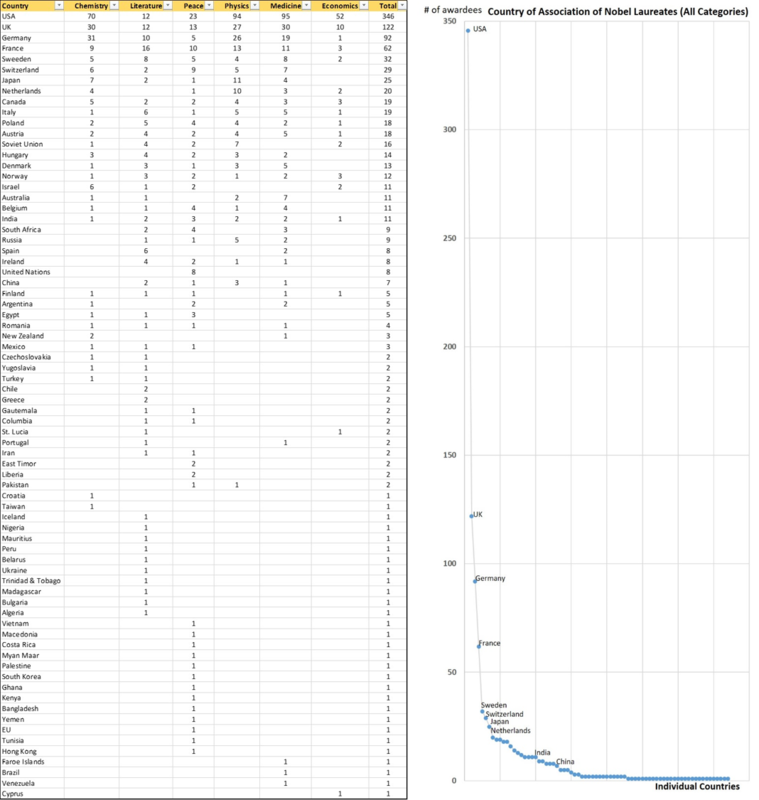 It’s a typical power law distribution: where rank of a data attribute x its frequency = constant. What this means to me is that India will NOT start loading up on Nobel Medals the way USA started piling up from 1950s onwards. The story of Dr. Mukhopadhyay is the reason why our ilk will not be able to succeed any time soon. The jury of the Nobel Prize selection committee may or may not be secretive and insular, but there is a certain amount of core research, infrastructure, appreciation and salaries for scientists, freedom from bureaucracy & above all independence from meddlesome governments which is required for basic academic research to flourish and develop. I don’t think announcing grand prizes of Rs. 100 crores will do the trick [link].